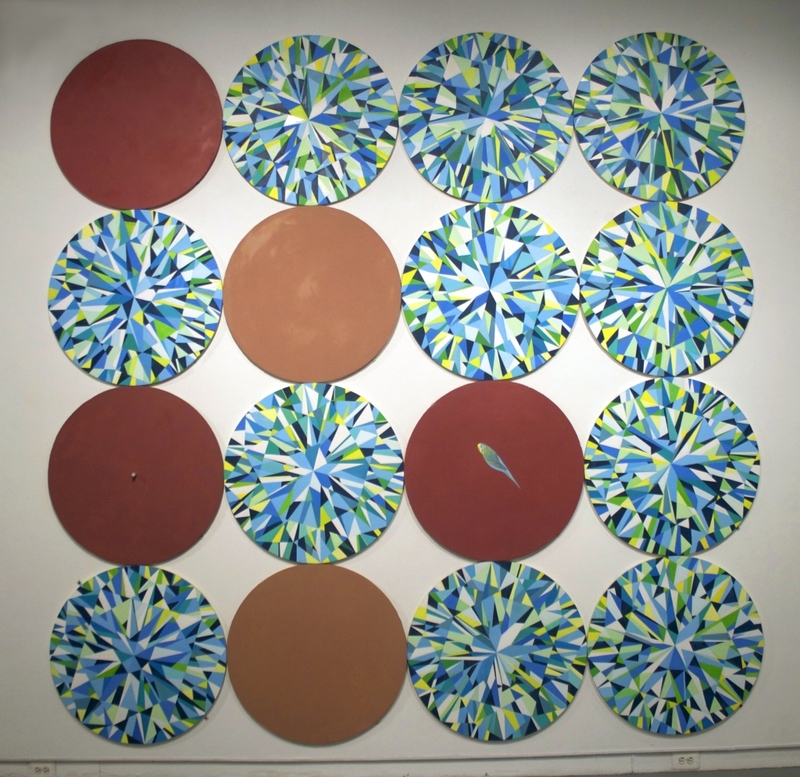 This series of paintings examines the circle as both focal point and moving vehicle. The paintings are often arranged in “sets”. As a lens or porthole, each painting offers entry into the space beneath its solitary surface. Once assembled into a larger constellation of elements, the form acts as a conduit passing its force through its outermost points of contact. In this way it becomes a wheel rolling against a neighboring wheel. About the artist: Kevin Labadie lives and works in Baltimore, Maryland. His work has been exhibited both regionally and internationally. He is the recipient of numerous awards including a Maryland State Artist Grant for Painting. He is professor emeritus at The Maryland Institute College of Art.